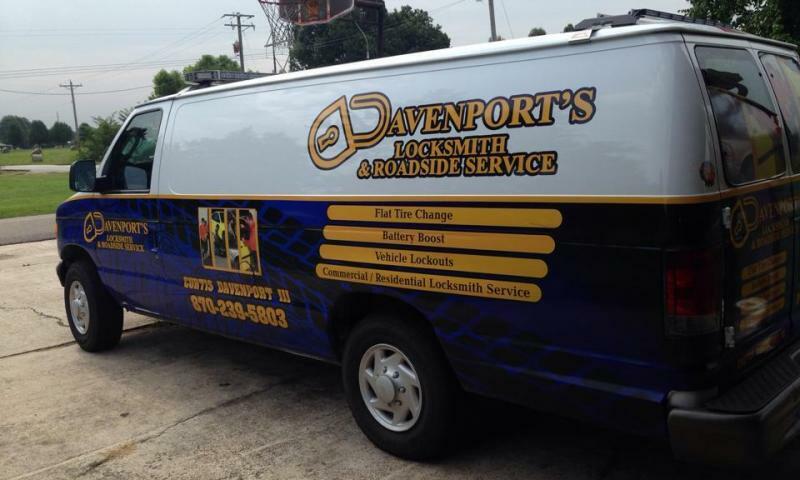 At Davenport’s Locksmith & Roadside Service, we specialize in providing punctual, professional and affordable service when you need it the most. If you are in need of a locksmith in Paragould and Jonesboro, AR area, we can have an experienced locksmith on the way in no time! We are also happy to offer roadside assistance to get you on your way when you have automotive difficulties. Whether you’re stuck on the outside of a locked door, or on the side of the road, Davenport’s Locksmith & Roadside Service is here to get you on your way. We've all been there at one point or another. Getting locked out of your home, business or car can be a helpless, frustrating and embarrassing ordeal. And that's where we come in. When you need lockout assistance, we are here for you! We provide roadside assistance in Northeast AR, within 50 mile radius of Paragould, for a wide range of automotive situations. If you lock your keys in your car, run out of gas, have a flat tire, or just can't get your car to start, we are here to help. We offer basic commerical and residental locksmith services. Whether you have a damaged or worn lock or key, misplaced your keys or simply need to update your locks, we can help. We offer rekeying services that make your locks function like new. We are always happy to provide our services!